Already out in England and garnering the praise usually reserved for a boy child Manchu Emperor, Michael Kiwanuka's debut "Home Again" just might be all that. Early reviews and hype put me off. Hype always puts me off. (The "new" Adele?) But I gave in once the record became available to me. I listened and could not stop listening. Too early, I know, to call this my fave of the year, but not too early to say, this will be in my Top Ten. The comparisons to Bill Withers seem rather lazy. Yes he's an African-American with an acoustic guitar, but that's really about it, at least to my ears. What I'm hearing is Paul Simon, Taj Mahal, Richie Havens and a much more positive Nick Drake. 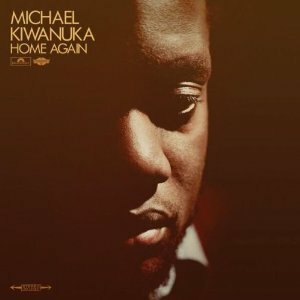 Kiwanuka is wonderfully musical, and the production on "Home Again" is dead-on, recalling mid to late 60's folk and psychedelia. 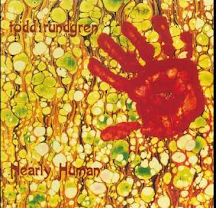 At the risk of gushing to the point of turning YOU off with hype, and doing the opposite of what I am here to do, please just listen to this record. The U.S. release has changed a number of times and it now sits at "unavailable." Amazon says the U.K. edition will be available on 4/3, but they're wrong. It's available now. I'm interested. You pushed all the right buttons. Me too. Looking for the download right now. I'm Getting Ready is a killer. Refreshing out of the blue post. "Tell me a Tale" reminds me a bit of Kenny Rankin (see the "The Kenny Rankin" produced by Don Costa album gem from 1976). This might be a pick up. I like him, but I'm not getting the Taj/Richie Havens connection. What I am hearing is the strong influence of 70's folk/pop. My favorite is "Always Waiting," which does sound like it could have been written by Paul Simon. Nice call! I hear Richie all over "Tell Me A Tale," and Taj particularly on "Home Again." Hate to be a stickler, but as far as I can tell, he's not African-American. His parents are Ugandan and he grew up in the Muswell Hill area of North London (he's a Muswell Hillbilly!) So, I'm not sure what hyphenate they use there, but it wouldn't be -American. I knew he was from Uganda. I simply wanted to say, "the comparisons to Withers stop at black man with an acoustic guitar," but I did too much overthinking and just blew it. Thought it was hype Sal, so ignored him completely. You've set me straight and are of course right, but don't tell anyone I said that.